Baba Ramdev launches Patanjali SIM, just unlimited calls can be made in such a lot: When SIM is launched for the entire country, those who have this card will get a discount of 10 percent in Patanjali’s things. In this SIM, unlimited calling facility will be available throughout the country on the Recharge of Rs. 144. Also get 2 GB data and 100 mms. Apart from this, the consumer will also get a cover of Health, Accidental and Life Insurance. Talking further about his SIM card, Baba said that with the wooing data pack and call package, the card is also being provided with medical and life insurance cover. It will be 2.5 lakh and 5 lakhs respectively. However, the benefits of this cover can be taken only on road accidents. After becoming the brand of the most trusted everyday goods brand of India, Patanjali’s company Yoga Guru Ramdev has announced to land in the telecom sector. 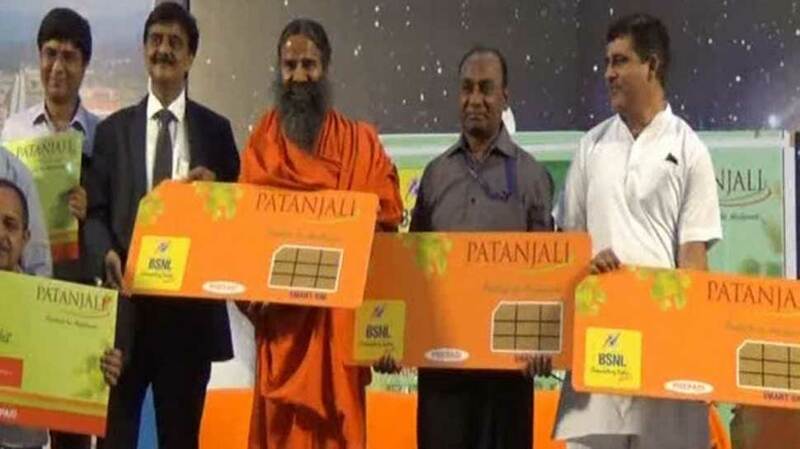 In an event, Baba Ramdev launched the Swadeshi Prosperity Sim Card, it has been launched in collaboration with BSNL. In the beginning, Patanjali Company employees will be able to use it.